Online registrations are now open for the 2019 mid-year conference. Members log in or click the button below to register. 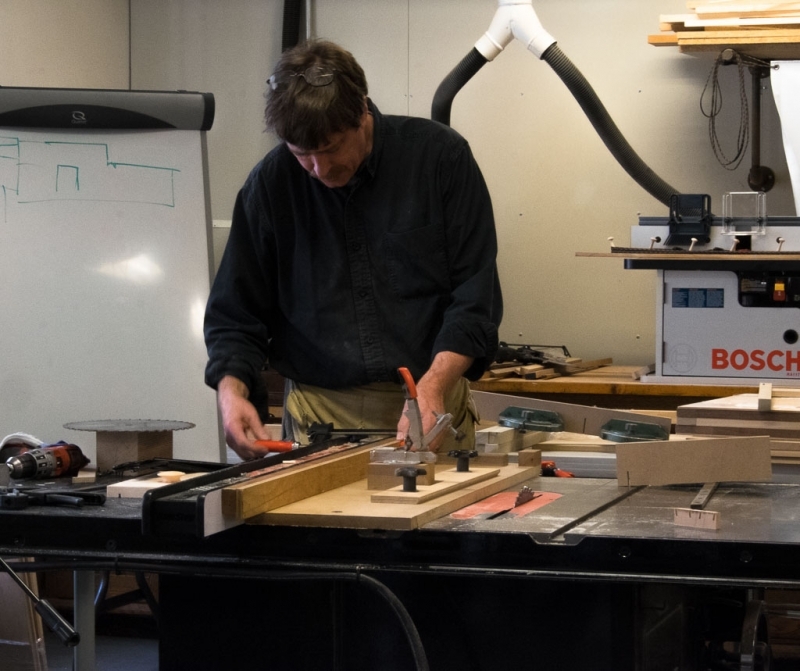 It is with great sadness that we report that Zane Powell, known to many of us as a generous woodworking teacher and mentor, passed away at his home on Tuesday, April 9. Please see the Marc Adams School of Woodworking for further details. The 2019 Midyear registration is now open. Log on and use the button above to register. If your membership is not current through the end of July please renew your membership now. All of the information on the Midyear conference can be seen here. Don't miss it - This year's Midyear, like always, will be a great time! 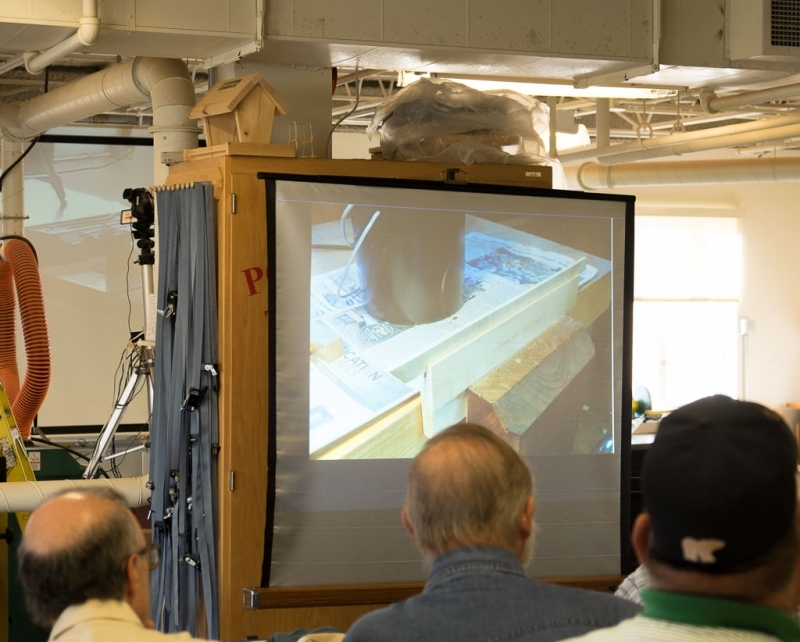 NOTE: In addition to registering, if you would like to have your work viewed and cannot bring a piece of furniture for the "Member's Gallery" we will also have a continuous loop slide show as part of the gallery. To get your images of your pieces included in the slide show, send your photos to Dave Redlin at daveredlin@att.net. 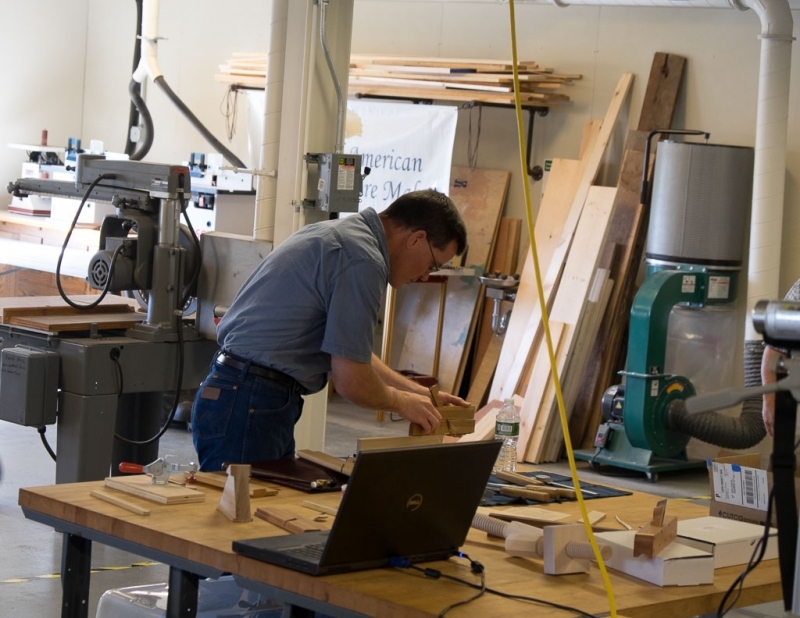 The conference will take place at the Greenville Woodworker’s Guild, the largest all volunteer operated non-profit woodworking facility in the United States! Complete information is the current issue of Pins & Tales which was distributed last week. Click here to download the 2019 Midyear article. All the information, including registration forms and hotel room blocks, will be on the SAPFM website by Friday, April 12. The Friday & Monday bus trips are both to very special 18th century Homes & Plantations. Hanover House – built in 1716 for French Huguenot Paul de St. Julien, it was moved to the property to save it from flooding when a dam was built. Fort Hill – built in 1825 by John C. Calhoun, South Carolina’s pre-eminent 19th century statesman, and on the land which was deeded to become Clemson University. AmazonSmile offers a new way to contribute to SAPFM. Open Safari and type smile.amazon.com in the web address ﬁeld. AmazonSmile will open. Mike Holden has elected to resign from the SAPFM Board of Directors and his officer role as VP/President Elect (VPPE), due to the press of other commitments. Board member Dave Redlin has been appointed by the Board to immediately fill the VPPE officer position, and thus to assume the role of President of SAPFM for 2019. Dale Ausherman will as planned assume the role of Immediate Past President for 2019. Please join us in thanking Dave for his generous offer to serve in these roles on short notice. The Board will work diligently to help Dave fulfill these challenging responsibilities. For now we will leave the vacated Board position unfilled, but will still operate with 10 members once newly elected Board member Sam Rhodes joins in January. Our Annual meeting of members will be held on Thursday 17 January 2019, 2-4 pm at the Williamsburg Lodge, 310 S England St, Williamsburg, VA 23185. We hope that you can attend. On 30 September the Board voted to make two changes to the Bylaws. The first changed the size of the Board from “ten” to “up to twelve.” This is to provide flexibility in our Board elections to avoid losing the volunteer Board efforts of an outstanding candidate simply because there is not room on the Board. The second change updates the definition of a Life Membership to reflect the prior Board decision that applications for Life Membership will not be accepted after 31 October 2018, but that Life Memberships or installment plans existing as of that date will be continued. The amended bylaws are posted here. On 1 September members received an email from the Nominating Committee recruiting additional candidates to stand for election to the Board for three year terms starting 1 January 2019. October 1 brought the close of the period to declare candidacy. Due to the hard work of the Committee (Jim Crammond (Chair), Mike Holden, Ken Johnson, Herb Kettler, Jeff Saylor and Jim Shapiro), and the generosity and SAPFM passion of the candidates, we have four members volunteering to stand for election to three-year terms on the Board – David Coker, Joel Goodwin, Dave Redlin, and Sam Rhodes. For David, Joel and Dave, this would be re-election to the Board. We thank the three for their past service to SAPFM and for volunteering to continue their contributions to the success of SAPFM. We especially thank Sam for stepping up to serve the Society in a very meaningful way. Election Impact – All Four Candidates Are Hereby Elected to the Board. Our Bylaws stipulate that In the event the number of Board election candidates equals the number of impending vacancies on the Board, then the candidates shall be considered as having been elected to the Board and the membership shall be so notified. On 26 August the Board amended the Bylaws to set the Board size to be up to twelve members. I am therefore pleased to announce that David Coker, Joel Goodwin, Dave Redlin, and Sam Rhodes are hereby elected to three-year terms on the SAFPM Board of Directors, with terms commencing 1 January 2019. Please join me in welcoming these talented members to the Board. Because Sam is new to the board, as a matter of introduction I include his Candidate Registration Form below containing biographical information. Occupation: Manager, contracts department of a defense contractor. I am an amateur woodworker having made projects since the early 1970’s. In the professional world, I have held every position from chapter member to chapter President in a worldwide contracts organization. I was twice published in that organization’s magazine. I was made a fellow of the organization in recognition of many years of service. I was also named a contracts fellow by my company. Additionally I served three years on a large Homeowners Association board. Primarily Chippendale. Queen Anne and Federal periods related to the design and construction of the pieces. Additionally the history of the period and particularly the experiences and working environment of the cabinetmakers and joiners during that period. I started in the 1970’s while in the Air Force. After making a bookcase at the wood hobby shop, I became a woodworking enthusiast. Growing up in Norfolk, VA I always enjoyed the colonial period during dozens of trips to Colonial Williamsburg and surrounding historic sites. Period Furniture combines those two interests. 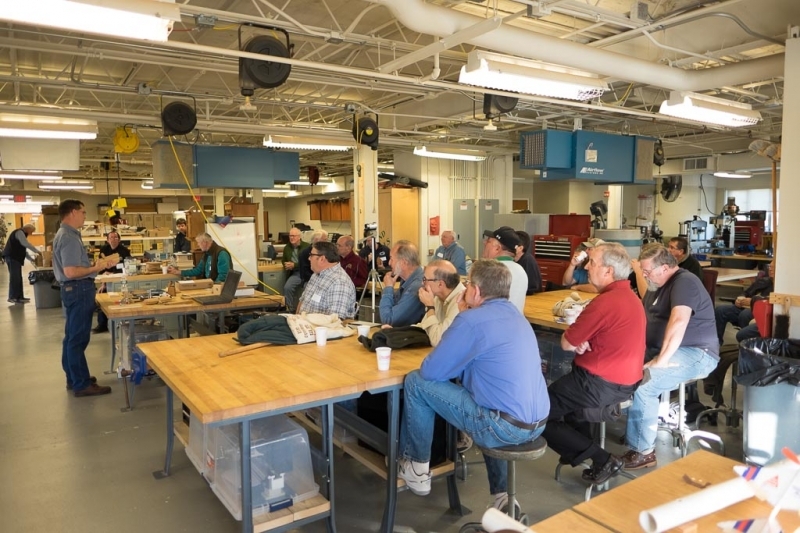 I attended the first Working Wood Symposium at CW and have been to 15 of them over the years, but only one mid-year due to work constraints. I have taken classes from Al Breed, Mack Headley, Jeff Headley, Steve Hamilton, and Mary May. I have made Chippendale and Queen Anne chairs, a bombe chest, mantle clock, and about three dozen assorted tables, chests, and cabinets. I hope to learn more about Federal inlay to go beyond the dining room table I made that included inlay. Currently a member of the Chapter Outreach committee. Retiring 1 August 2018 so additional time will become available. Through significant SAPFM Board effort and investment in inventory, for some time now SAPFM has been able to offer members standard logo shirts which can be purchased individually at our online store on the member’s-only part of our website (www.sapfm.org/sapfm-store). Some chapters also choose to arrange for shirts customized to their specific chapter, by adding a chapter designation to the standard logo and ordering a number of shirts at a single time. There is a specific SAPFM-approved process and source for so doing. We have a vendor who operates our online sales of individual standard logo shirts. This vendor has invested substantial time in working with us to set up the store, as well as working with us to develop what is now the standard logo file. We tried for several years to find a SAPFM volunteer willing to manage shirt sales to members. We were unable to find a volunteer and so co-invested our effort with this vendor. In return for his substantive efforts at setting up and running the store for us, we have committed to having our Chapter-specific needs handled by him as well. Howard will work with you to select the clothing item from his catalog (these items do not have to be those offered on our website), to determine the chapter name, and to negotiate on price depending on the number of shirts desired. Using this single vendor enables SAPFM to continue our online store for normal logo shirts in service to our members. Thank you for your support of SAPFM and for your cooperation. 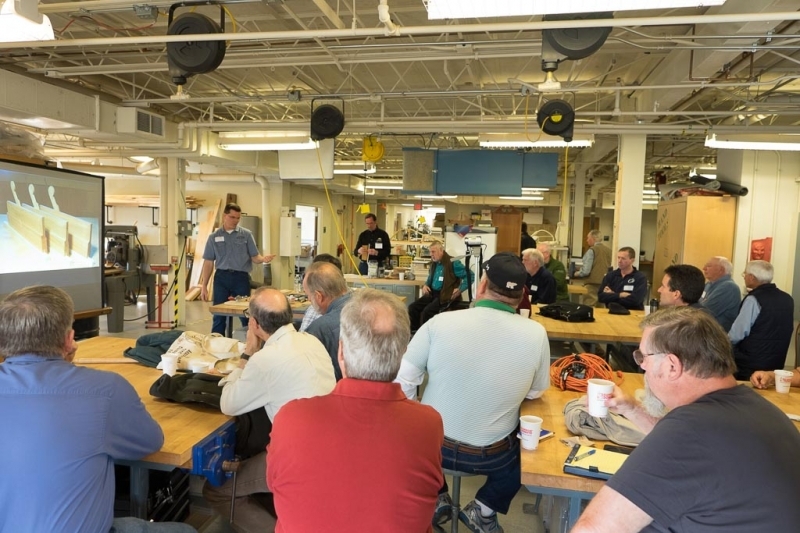 At the June 24, 2018 SAPFM Board of Directors meeting, a very difficult decision was made to increase the annual membership dues for SAPFM members. A vigorous debate was held and all Board members were given an opportunity to voice their concerns – both the pros and cons – and for each to be able to provide evidence for the need to raise or not to raise these dues. SAPFM provides our members a tremendous value for the hard-earned dollars that you entrust to us, such as: the American Period Furniture yearly publication, the quarterly Pins & Tails publication, access to the members-only section of the sapfm.org website (with its amazing articles, gallery, access to the Price4Antiques Reference database, etc. ), the ability to attend SAPFM conferences, privilege to attend Chapter meetings and events, and so on. We are also in the process of completely rebuilding the website in a more useful environment that will allow us to be able to provide even better services and information to our leaders and members. And as each of you know, there is a cost to providing these publications and services. Unfortunately, the costs of the publications alone have caught up to us much quicker than we had anticipated. As of the end of the 2017 fiscal year, the costs of providing only the American Period Furniture yearly publication and the quarterly Pins & Tails publication almost completely consumed the entirety of the funds that were brought in from membership dues. Outside of this, SAPFM has needed to rely on any meager profits made from the Mid-year and Williamsburg’s conferences, revenues from American Period Furniture ad sales, and has required us to dip into the organizations reserves in order to do the website rebuild work to finish out the year. Continuing to operate in such a manner would not allow SAPFM to continue to provide such professional publications, much less to continue as an organization for very long. There are still on-going efforts to get out the SAPFM name via advertisements on websites, blogs, and within other publications in the effort to increase membership but, unfortunately, we have seen the membership increase only nominally in almost 5 years. Single yearly membership is increasing from $60 to $75. Joint yearly membership is increasing from $75 to $95. Lifetime memberships will no longer be available for purchase. November 1, 2018 was chosen as the most logical date to begin this change because October 31st is the last day that someone can be a member and still receive the 2018 copy of the American Period Furniture publication. The Lifetime membership option has become untenable because on average the amortized cost of servicing those memberships exceeds the income from the Lifetime memberships without an unreasonable increase in the fees. Any members who are currently on the Lifetime membership track will be allowed to continue that path toward a Lifetime membership. All current Lifetime memberships will continue to be honored. While the decision to raise membership dues was not taken lightly, and was seriously debated for many months, it is the right time to make this change. The additional funds will allow SAPFM to continue to provide the products and services that the membership has grown to depend upon. As a reminder, we believe that it is important for you to understand that everyone who does any work for SAPFM, outside of the Journal and Pins and Tales editors, their respective hired services, and our webmaster, is a volunteer. All Board members are volunteers. All Chapter Leads are volunteers. 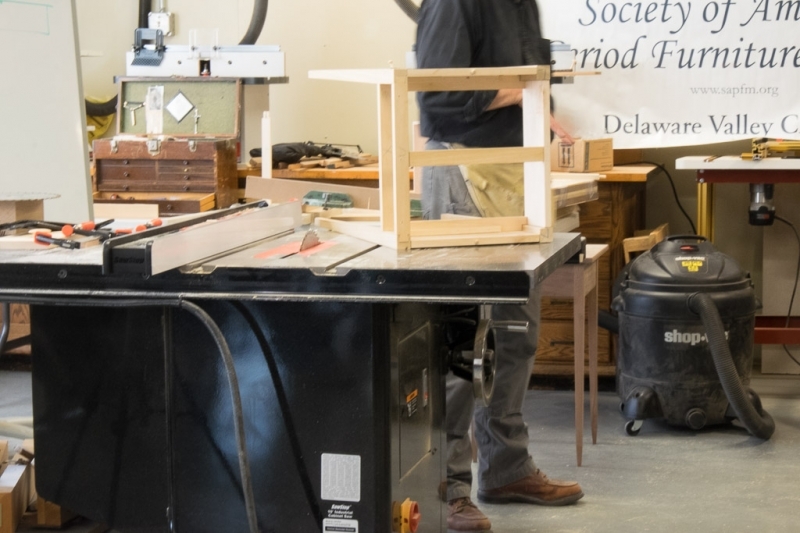 All members who do side projects for the Board and Chapter Leads and those who work on setting up the Mid-Year and Williamsburg conferences and all of the woodworking trade shows are volunteers. All of the monies that are raised go to you, the member, via the services that are provided. It is these monies that provide the amazing American Period Furniture yearly publication, with its 100+ pages of museum quality content, and the quarterly Pins & Tails publication that is easily a direct competitor of the finest woodworking magazines in print today. Our new website will ultimately allow us to provide even more content to the membership and will be able to tie into social media for a broader reach. This is why it is so vitally important that we find ways to keep this increasingly important medium available from which we can all continue to learn. This is also why it is so vitally important that each of us find even just one other person to join SAPFM. Increasing our membership is truly the only way to continue to grow our organization and doing so will not only help us financially but will increase our knowledge and the understanding of one of the most beautiful forms of self-expression – the amazing journey of creating and displaying beautiful period furniture. The MESDA Journal(www.mesdajournal.org) has published groundbreaking research on early southern decorative arts and material culture since 1975. Articles in the MESDA Journal are available free of charge through its website, as are digital versions of past issues published over the last forty-three years. A recent issue discusses “Friendly Furniture in the Early South,” a reference to The Religious Society of Friends, better known as the Quakers. The Quakers had a notable but sometimes overlooked influence on the settlement and material landscape of the early American South. The furniture making traditions of two Quaker communities in the South—one in the northern Shenandoah Valley of Virginia and the other in Piedmont North Carolina—are explored and contextualized in significant new articles published in the Journal. 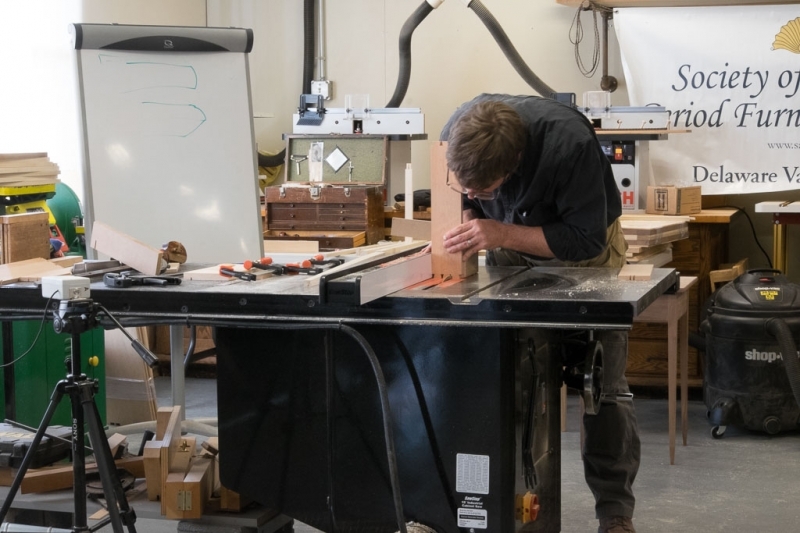 Quaker cabinetmaking families that made furniture over a ninety-year span in the Winchester region of Virginia are revealed in an article by A. Nicholas Powers, curator at the Museum of the Shenandoah Valley. Quaker settlement of the area began in the 1730s and a third of the woodworkers documented as working in Winchester and Frederick County before the American Revolution can be identified as members of the Society of Friends. 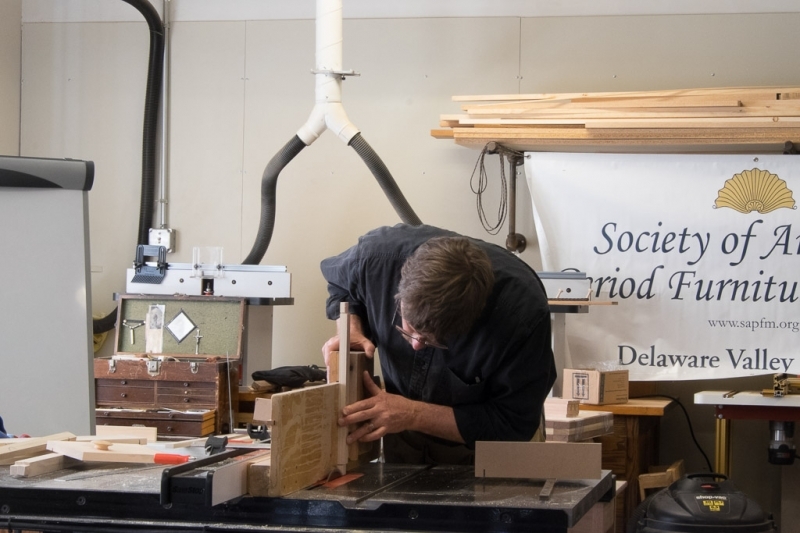 From the Scots-born joiner Alexander Ross working in the first half of the 18th century to the Fawcett family of furniture makers working into the 19th century, Quaker woodworkers were formative settlers and residents of the northern Shenandoah Valley. A network of ideas and trade that spanned the length of the Great Wagon Road connected the Virginia Quakers with Friends from Philadelphia south to Piedmont North Carolina, where Robert Leath, MESDA’s Chief Curator and VP of Collections & Research, thoughtfully explains the stylistic influences of three separate migration patterns in Guildford County, North Carolina. Leath establishes in his article that Quaker cabinetmakers in Guilford County produced decorative furniture between 1775 and 1825 that reflected their ethnic origins and professional training but also created a regional identity that trumped religious faith. A recently discovered shop ledger book and adept genealogical research skills allow Leath to reconsider long established attributions of surviving furniture and better identify the cabinetmakers working within Piedmont North Carolina’s Quaker communities. Thomas Pierce, a Pennsylvania-born craftsman who migrated in the 1770s, and his apprentice David Osborne have been revealed as the earliest Quaker cabinetmakers in the region and work previously assigned to Jesse Needham has been re-attributed to Henry Macy, who was born on Nantucket Island and moved to Piedmont North Carolina with his family in the 1780s. Issues of Pins & Tales/Period Furniture, the SAPFM quarterly e-Zine/newsletter, published since Spring 2008, are available here in pdf format. Click on the image to see a larger view of the cover. Dyami & Sean discuss the Fine Woodworking Live 2017 conference. We are pleased to present the Spring 2019 issue of Pins & Tales, the SAPFM e-Magazine. Read more about the current issue here. Not a SAPFM member? You can receive a one-time eMagazine by signing our email list. Sign up here. Fine Woodworking Live 2017 preview. From a presentation given at the 2016 Tidewater Chapter Fall meeting. Read the hardcopy companion article to this video in 2105's American Period Furniture, or online in the SAPFM members area.